BlindsOnLine.com has a new line of very cool looking pleated shades in what is known as “grass cloth” pattern. Grass cloth is made of 100% polyester but looks just like woven wood shades or woven grass materials. 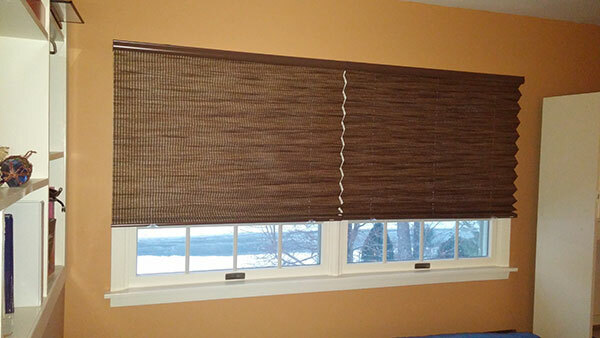 The shades are available in 6 different patterns that resemble natural fibers and reeds. I installed them in an extra bedroom and they look great! The shades naturally provide a significant degree of privacy and do let in a little light. A blackout liner is available if you need full light control as is a privacy liner if you want enhanced privacy. I opted for the cordless shades which provide added child safety. You can see the full line of Grass Cloth Pleated Shades on my site.